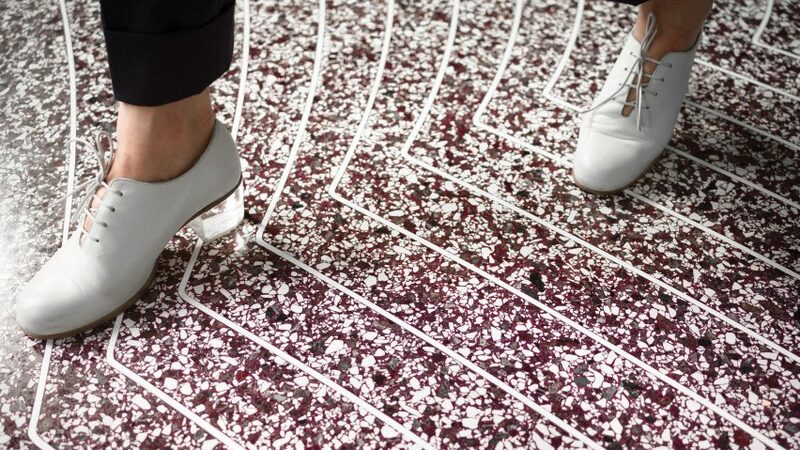 A Dutch company has developed technology for 3D printing floors in an endless variety of colours and patterns. 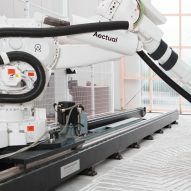 Aectual uses huge robotic 3D printers to create the framework for its sustainable floors, which it infills with terrazzo. As a result, these floors can be customised to fit spaces of any shape and size, and can be created in all kinds of designs – from traditional patterns to custom motifs. 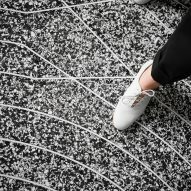 "We make it possible to create your own design for spectacular floors in, for example, a hotel lobby, or for a striking retail brand," said Hans Vermeulen, CEO of Aectual. "This gives designers complete design freedom." 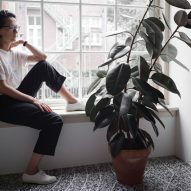 Vermeulen and his Aectual co-founders Hedwig Heinsman and Martine de Wit are better known as the partners of DUS Architects – the architecture studio working to create a 3D-printed canal house in the Dutch capital. 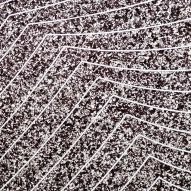 The trio launched Aectual as a commercial spin-off company, specialising in 3D-printed building products. Working with engineering firm Arup, they created their first 3D-printed floor last year – inside Tokyo department store Loft – and are now creating another for Amsterdam's revamped Schiphol Airport. 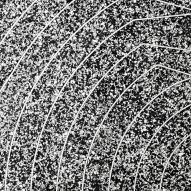 The process involves printing out the desired pattern using a robot with six degrees of freedom – meaning it can move forwards and backwards, up and down, and left and right, as well as freely between these X, Y and Z axes through rotation. The material they use for printing is a bioplastic made from plants, which is fully recyclable. Once the printing is complete, the framework is transported to its final destination. 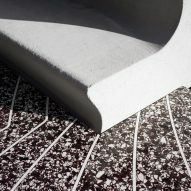 This mould, which measures just a few centimetres high, is then infilled with a terrazzo made from recycled granite or marble chips, and a bio-based binding agent. After the mixture has set, the final step is to polish it. According to Aectual, the resulting floors are high quality and wear-resistant. Also, thanks to the use of recycled and environmentally friendly materials, the floors are intended to create little or no waste. "Our materials are bio-based or recycled, and our production process is streamlined towards zero waste," reads the description on the company's website. "Our flooring solution can make use of corporate waste streams, which is a great way to demonstrate corporate responsibility." 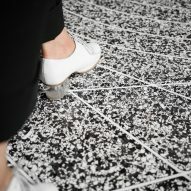 Aectual launched its 3D-printed flooring during Dutch Design Week 2017, which took place from 21 to 29 October 2017 in Eindhoven. 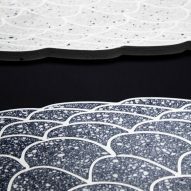 It is one of several sustainable ideas unveiled during the event, along with an off-grid lamp powered by photosynthesis, cotton scarves patterned with ink made from pollution and tableware made from recycled porcelain. Dezeen hosted a talk series at Dutch Design Week titled Good Design for a Bad World, which looked at whether designers can make a difference on global issues such as climate change and pollution.